This ACE Cash Express location is smack dab in the middle of the Harbor Shopping Center. At the intersection of Harbor Blvd., and West Garden Grove Blvd., this location has plenty of free parking for customers. Orange County Transit Authority’s Bus lines #43 and #543 each drop folks off at the Harbor-Garden Grove stop. Check OCTA’s website for listings and schedules of bus routes. This high-volume area contains many shops, markets, and eateries, including AA Market, Burlington Coat Factory, Autozone, Staples, Dollar Tree, Chuck E. Cheese, Sabroso! Mexican Grill, and Carl’s Jr. Impressive Auto Title Loans Powered by LoanMart in Garden Grove! Are you looking for affordable and quick funds? If you have poor credit, it may seem like you’re out of options. But not to worry! With an auto title loan powered by LoanMart, you may be able to qualify for up to $30,0001 in emergency funds in as little as one business day3. An auto title loan allows you to use the title to your vehicle as collateral to secure funds. Traditional lending institutions may look at your credit history and little else when determining eligibility. But with an auto title loan powered by LoanMart, a variety of factors are used to determine qualification. Find out how to apply for an auto title loan powered by LoanMart in Garden Grove below. 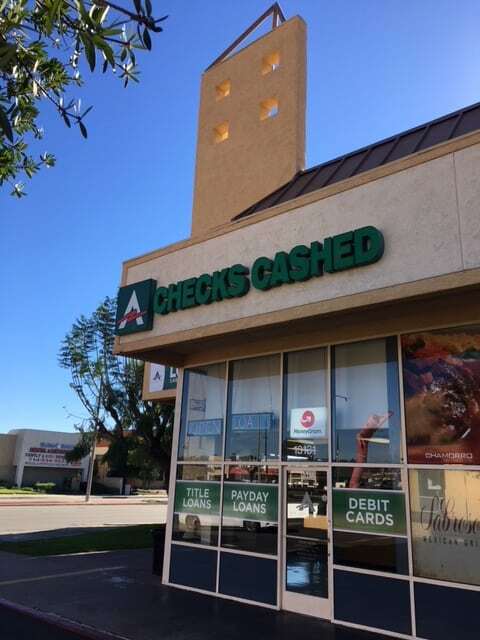 There’s no fee to apply for an auto title loan powered by LoanMart in Garden Grove when you come to ACE Cash Express. Plus, there’s no obligation to continue with the loan if you do qualify but no longer need it. Flexible qualification criteria including vehicle’s equity, mileage, and applicant’s monthly income1. Ability to refinance an existing auto title loan from a different lender if qualified. Click Chat Now for an instant connection to a representative. Fill out the information request form on this page to receive a call from an agent. .
Once approved, your loan agent will chat with you about how to pick up your funds at ACE Cash Express! Need some quick funding? Come on down to ACE Cash Express to get a title loan powered by 800LoanMart!